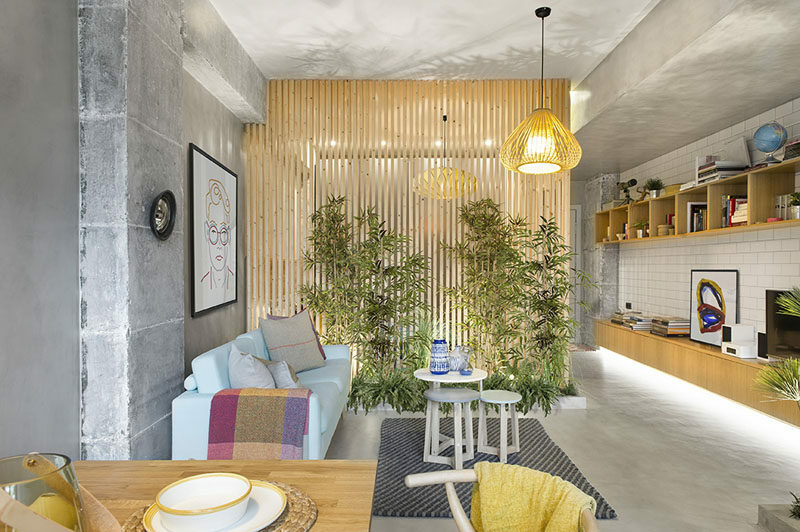 When designing this small 495 square foot (46m2) Barcelona apartment, Egue y Seta wanted to create a separate bedroom space without closing it off from the rest of the apartment, so they installed wood slat walls that allow light to pass through. By using wood slat walls, the designers were easily able to define the bedroom space yet still allow the light to travel through from the living room to the bedroom. 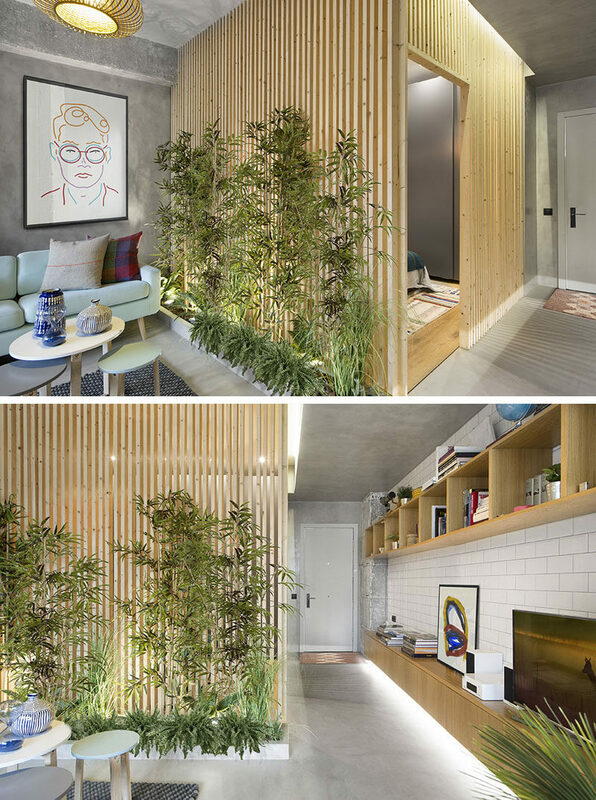 The wood slat walls also added a natural element to the apartment that complements the plants that sit next to it. The plants also help to create a layer of privacy for the bedroom. Photography by VICUGO FOTO | Design: Egue y Seta. With direct involvement of: Daniel Pérez, Felipe Araujo, Gaia Trotta, Szymon Keller and Covadonga Díaz.